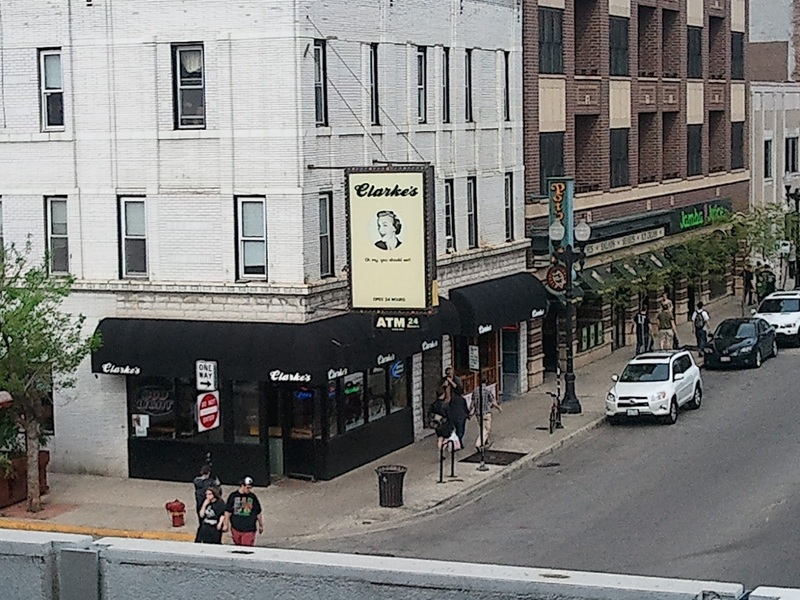 The sign outside of the 24-hour Clarke's diner at 930 W. Belmont reads, "Oh my, you should eat." Perhaps they should add, "Oh my, you shouldn't leave your two iPhones and two credit cards lying on the table." 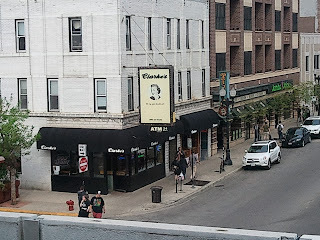 Especially since you are in a restaurant that's about 50 yards from the Belmont Red Line station. We'll bet an informed CWB reader such as yourself could write the rest of this story yourself. Let's give it a whirl. What happened to the iPhones and credit cards that the victims had lying out on their table? Correct! Where did the thief run to after he took them? Correct! Witnesses do not know if he got onto a northbound or a southbound train, though. According to the victims, the offender was male, black, about 23 years old, 5'9" tall, 160 pounds wearing a white t-shirt and khaki sorts. The incident, which was assigned to an incoming morning shift officer around 6AM today, has been recorded as a theft of over $500 under police report #HW392564. It is not clear what time the incident actually occurred as the 19th district was in a backlog and radio calls were getting delayed police responses.